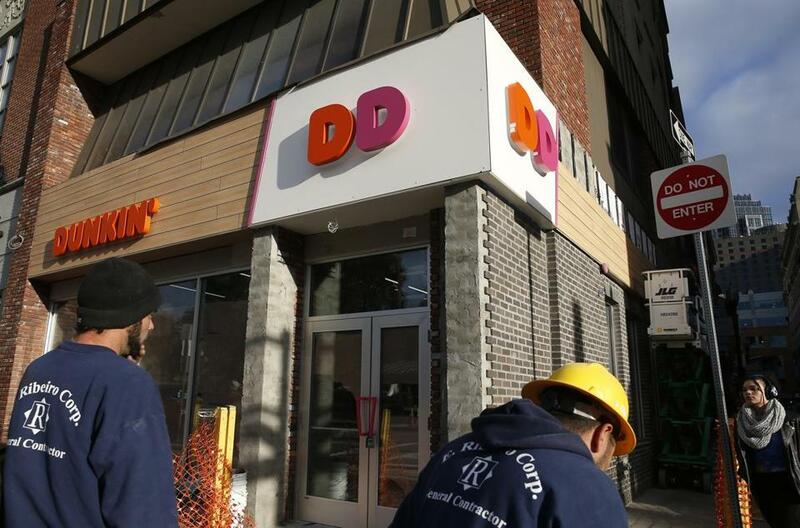 A new Dunkin&apos; sign has gone up on Tremont Street in Boston. Dunkin’ is no longer about the Donuts. That’s the message the Canton-based company is hoping to send with new signs being tested across the country, a strategy announced in August. 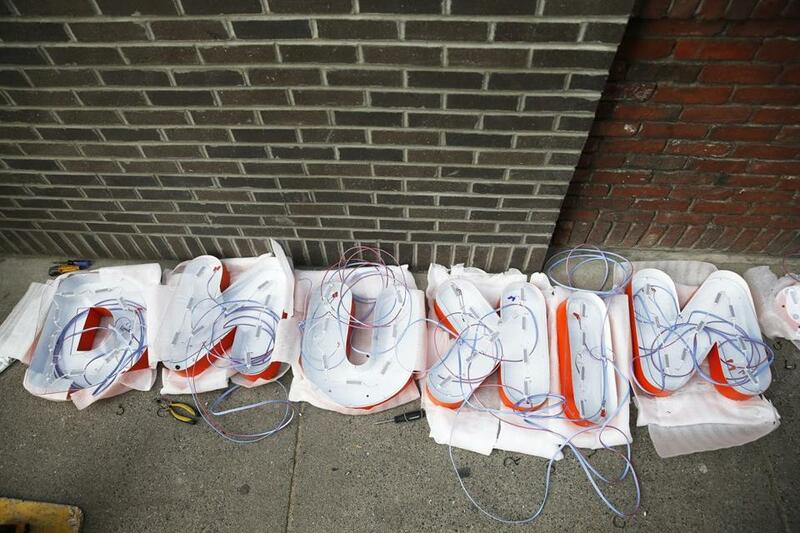 The first Dunkin’-only sign in Boston was raised Tuesday morning at 147 Tremont St. Though the sign also includes the recognizable “DD” logo on the storefront, which is scheduled to open next month. 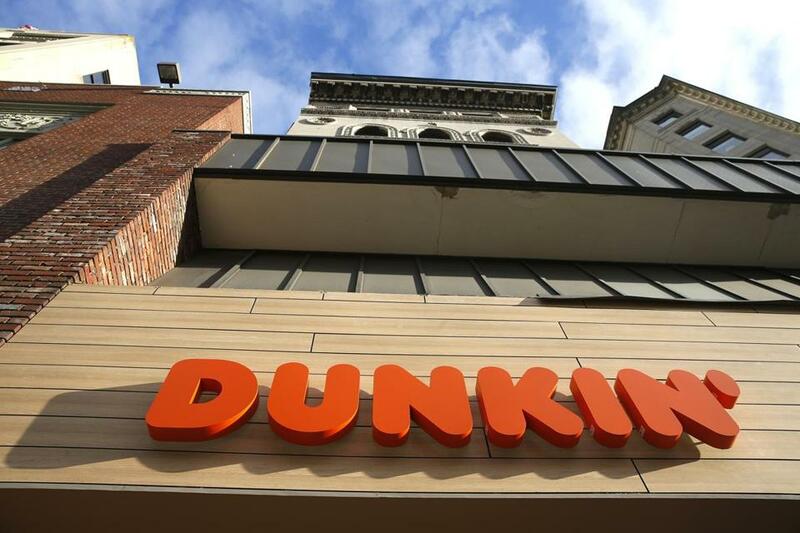 Dunkin’ Donuts is shortening its name on some signs to remind java lovers that it is a “beverage-led brand and coffee leader,” according to Michelle King, a company spokeswoman. 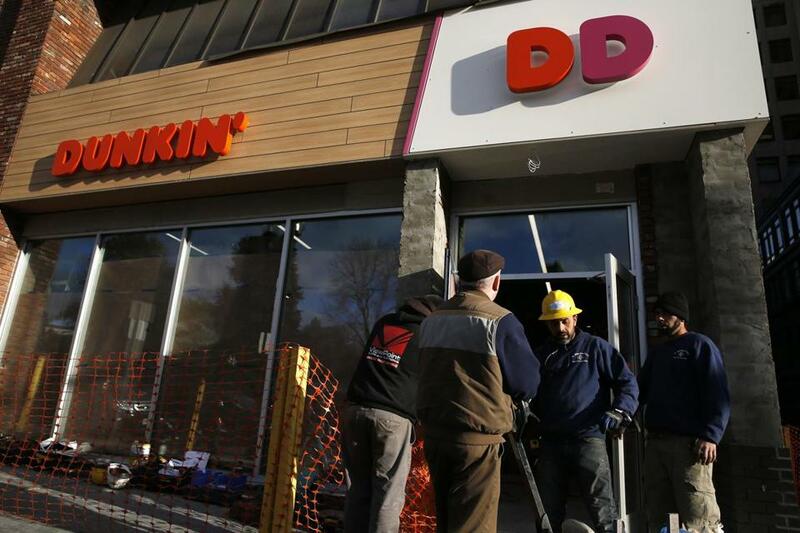 Though a second Boston-area test of a Dunkin’-sans-Donut sign is planned for a location in Quincy, the company doesn’t plan to make any decisions regarding permanent branding changes until the latter half of 2018, according to King. For a customer base that often airs its complaints on social media — including double-cupping protests and fake butter scandals — one might expect that a truncated sign could set off a caffeinated response. But commenters on a previous Globe article about the name change seemed to take it in stride. Natasha Mascarenhas can be reached at natasha.mascarenhas@globe.com. Follow her on Twitter at @nmasc_.